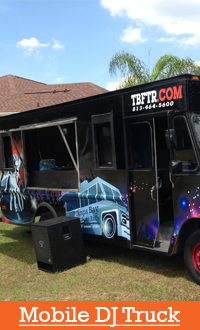 Hire a Food Truck in Tampa! You've come to the right place! In order for us to offer our services in the manner that we do - we feel that it is best that we understand our vendors inside and out. Luckily for us... all this means is that we eat from our food trucks as much as possible! With this, we are able to recommend vendors based on our experiences with them, rather than recommending trucks that are just available on the day of your event. We don't just give you a list to choose from. Instead, we select the vendor based on your cuisine preferences that we would want to have at our own party. We remain deeply involved with our vendors - and this gives us an extensive product knowledge that you can benefit from! 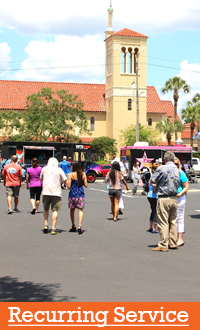 Not only do we help our approved food truck vendors find events in the Tampa Bay Area, but we also help them develop their business practices. Given our time developing food trucks as small businesses, our knowledge of trucks extends much further than just their menus. Whether you want to host a party with gourmet hors d'oeuvres or feed a benefit concert crowd of 10,000... we will hand-select the correct vendors based on your needs, as well as factors you may have not even considered! Hiring a food truck for your next event is a sure-fire way to make sure all of your attendees get the best food experience possible. Take a look at the different types of events for which we regularly book trucks! We have helped organize thousands of events in Tampa Bay! Some of the events we regularly organize are as follows: employee appreciations, weddings, private parties, concerts, conventions, races, and many more! 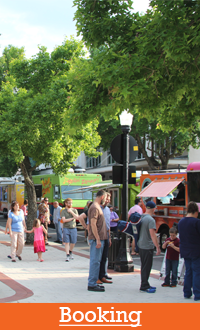 We look forward to helping you hire food trucks for your next event! Click below or call at 813-802-9119!